Allium is a genus of plants that contains several hundred species, almost all of which are native to the northern hemisphere (and almost all of these native to Asia). I’ve read that the generic word “allium” is latin for garlic; being deprived of learning dead languages in school, I’ll have to assume this is accurate. This time of year the garden alliums stand out- leeks, garlic, onions, shallots. They have all grown on very slowly during the cold short winter days without fanfare; so slowly that their growth is barely noticeable week to week. 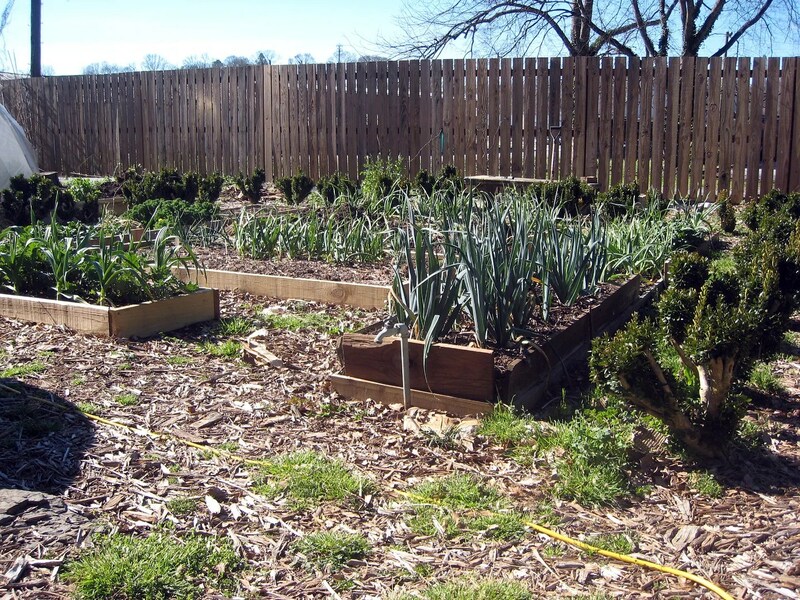 With most of the garden beds outside of the hoop house at least partially fallow, any plants stand out and these stealthy growers seem to have appeared overnight just as winter is waning. 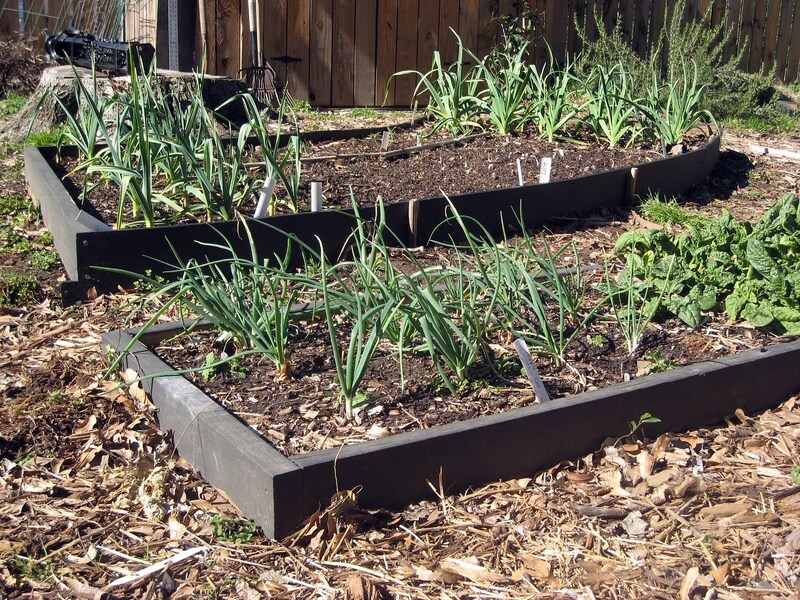 This weekend as I planted the last of my allium for the “season”(both sweet and traditional storage onions) I noted the temporary window of “dominance” the rest enjoy over the otherwise mostly dormant beds. 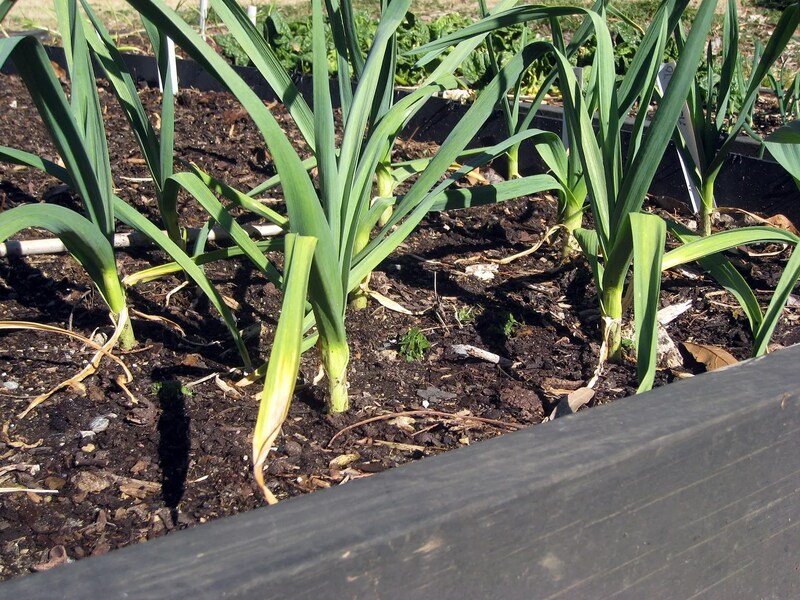 While from a distance, these leeks, shallots, garlic and onions all look the same, a closer inspection reveals otherwise. 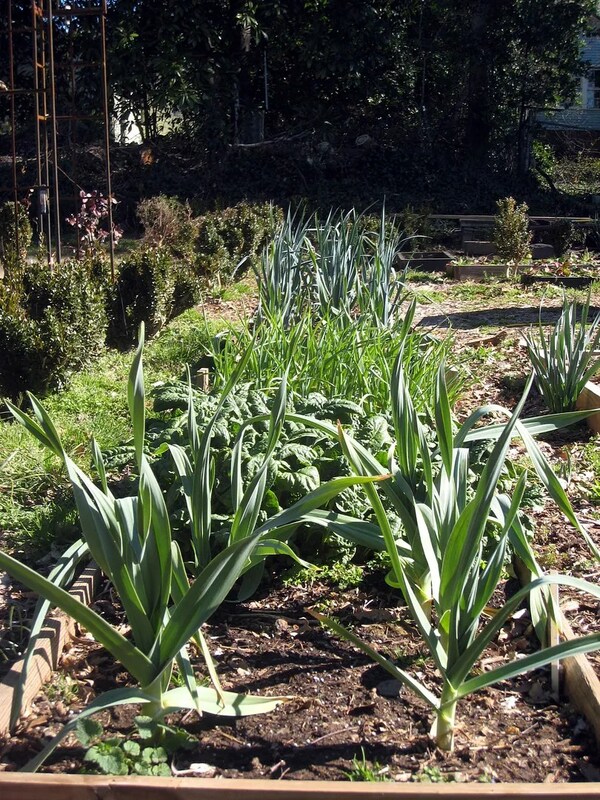 “California Early”, a softneck “silverskin” type of garlic, is our staple garlic again this year. The gazzilion heads of this we grew last year were sorted and the largest cloves of the largest heads were saved for seed and planted last fall. So far, the plants on average are larger @ the stem this year than last, which bodes well for the improving the stock (as measured by size and general robustness). A closer view shows it to be similar to the smaller multi-clove “mistake” previously mentioned. I also have several small additional plots that include of an unknown hardneck variety in its third generation here as well as the interesting red creole variety “Ajo Rojo” (previously referenced here) at the beginning of November when I got the cloves in the ground. The Ajo Rojo has a distinct look vs the silverskin softneck garlics like California Early and most grocery store garlic. 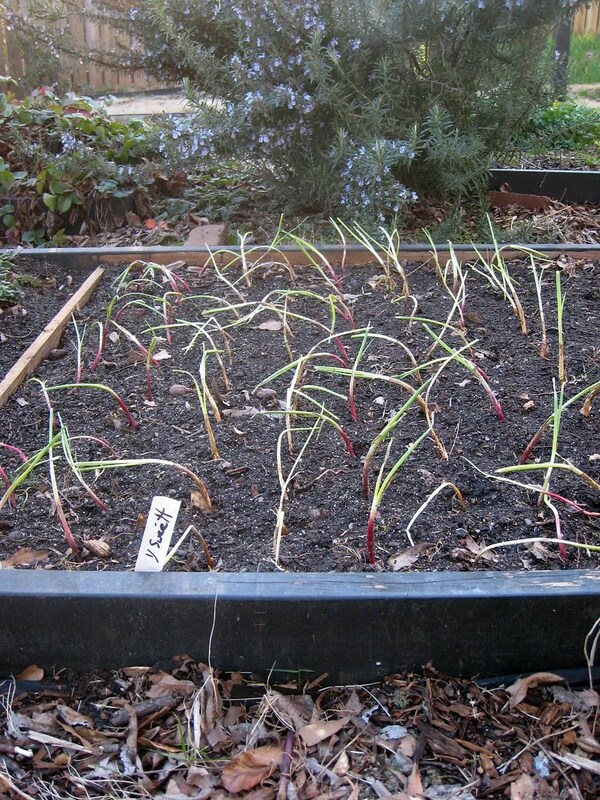 The picture below is from PotatoGarden.com , a great source for both seed potatoes and garlic. 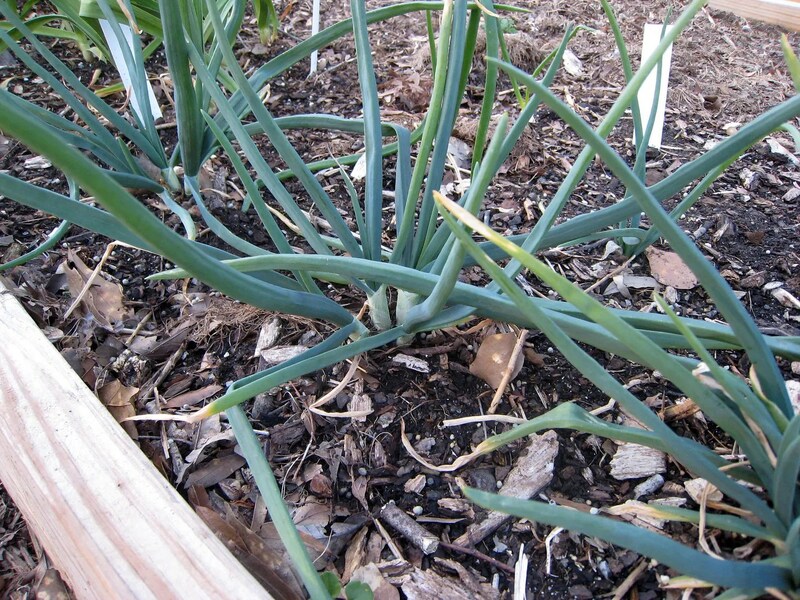 It has fewer but larger cloves with no interior cloves like hardneck varieties. 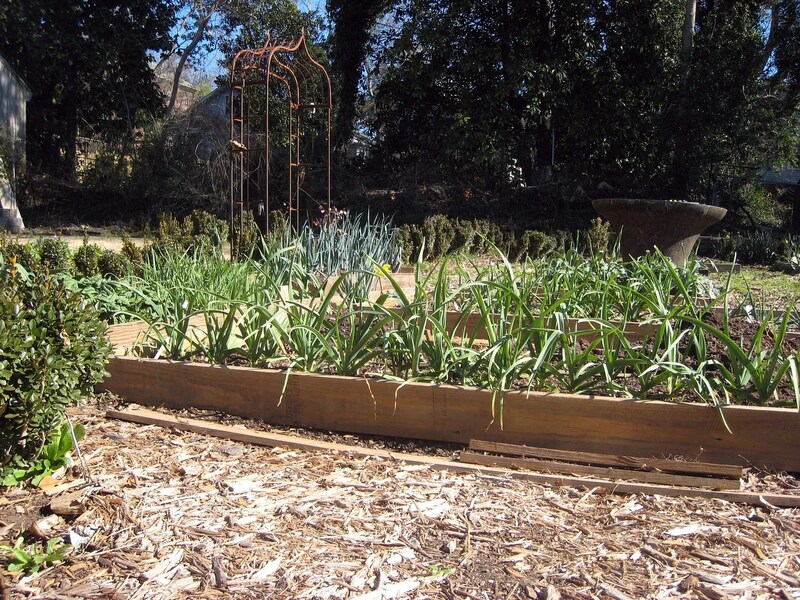 The “normal” leek bed is continuing to improve despite the extremely late planting last fall. 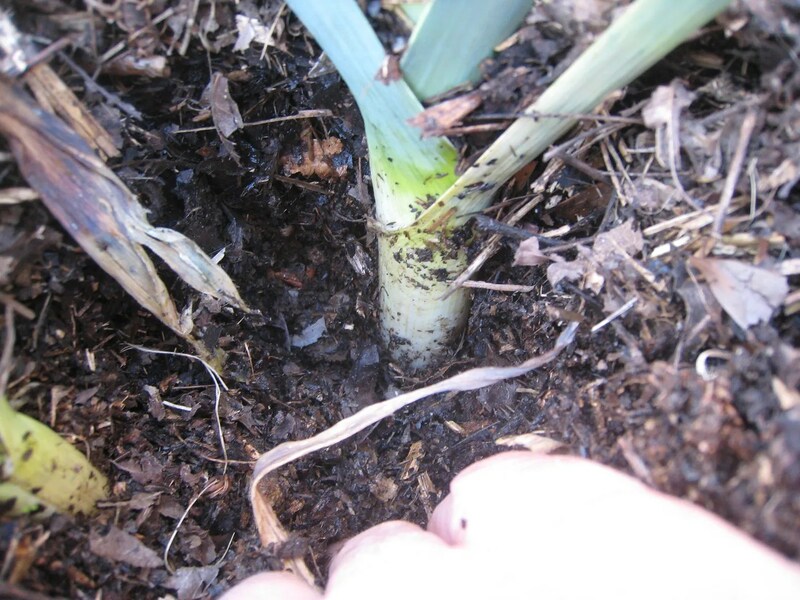 I pulled back the mulch to inspect the blanching progress; it appears to be going well as there is another 6″ of stem below what is visible here beyond my garishly white knuckles. 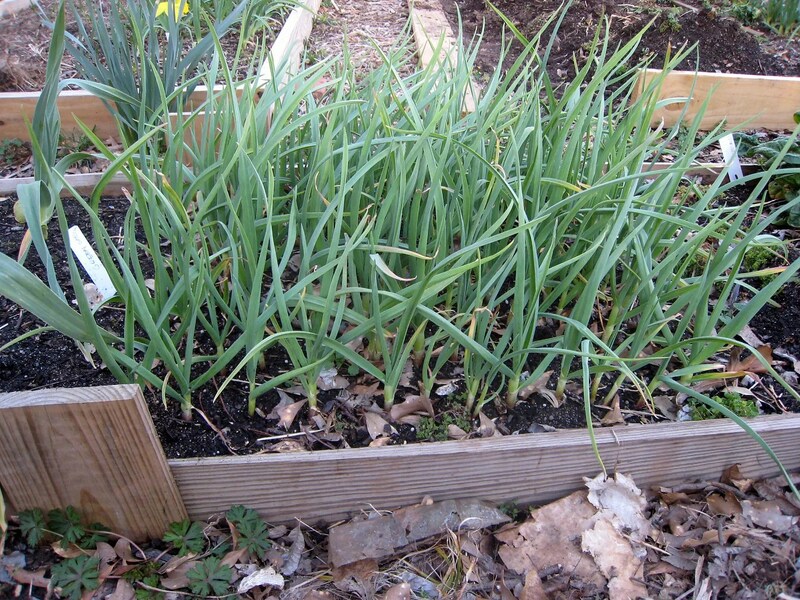 The 2nd generation of French Red Shallots is coming along decently; I have been planting these successively since last fall in order to test how much timing affects the plants sending up scapes as well as final size. 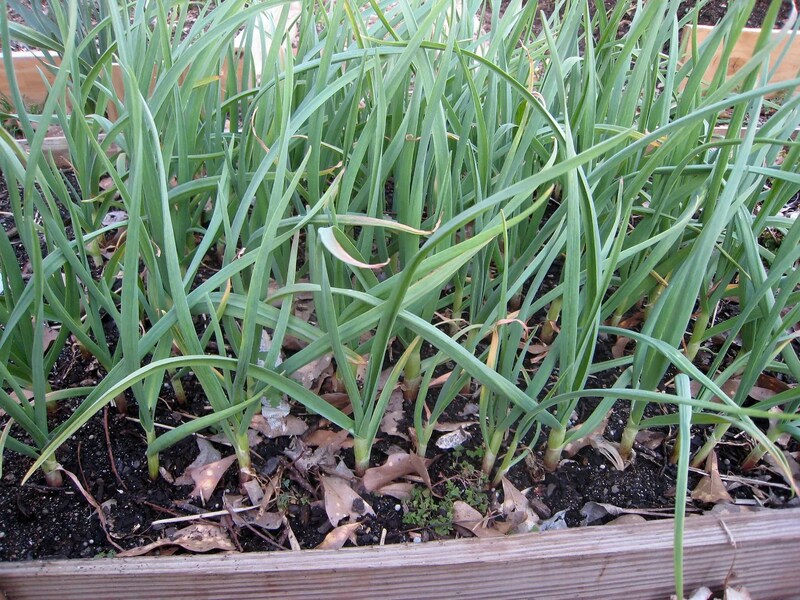 Shallots send up multiple shoots from a single clove or bulb and eventually each shoot bulbs up individually as opposed to cloving like garlic. I traded some shallots for some yellow “Potato Onions, a type of dividing or multiplying onions that was popular 100 years ago. Before the wide availability of onion sets and seeds, the potato onions proved a reliable way to propagate from one season to the next. 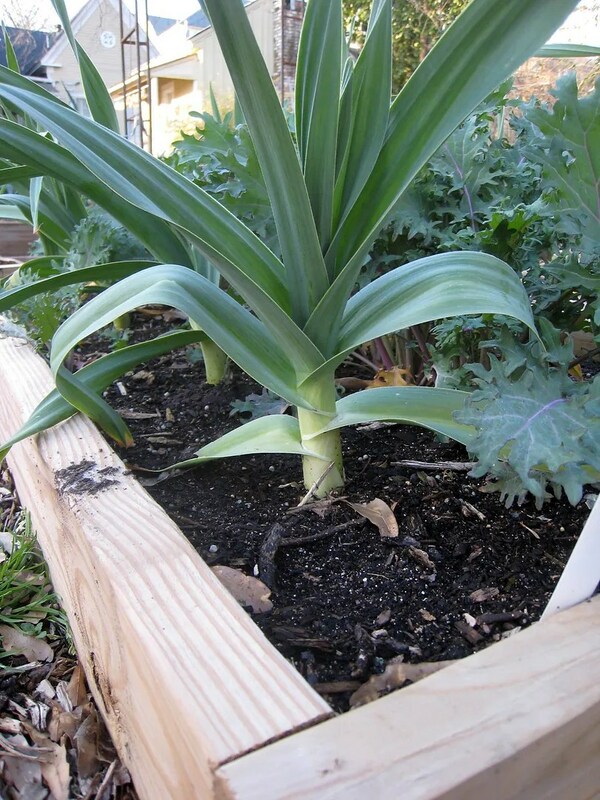 “Normal” or traditional onions don’t divide or multiply, instead they flower and create a seed head. 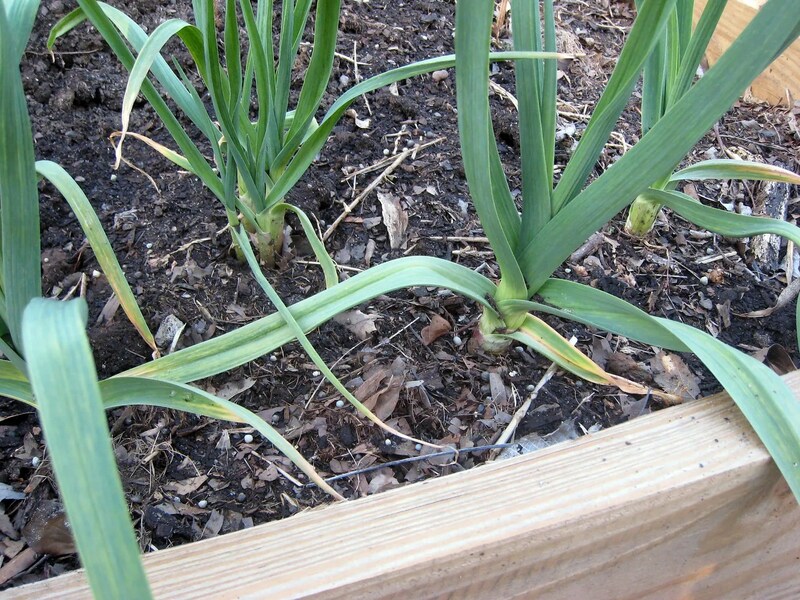 These potato onions behave more like shallots, a single fall planted bulb sends up multiple shoots and divides under the soil. 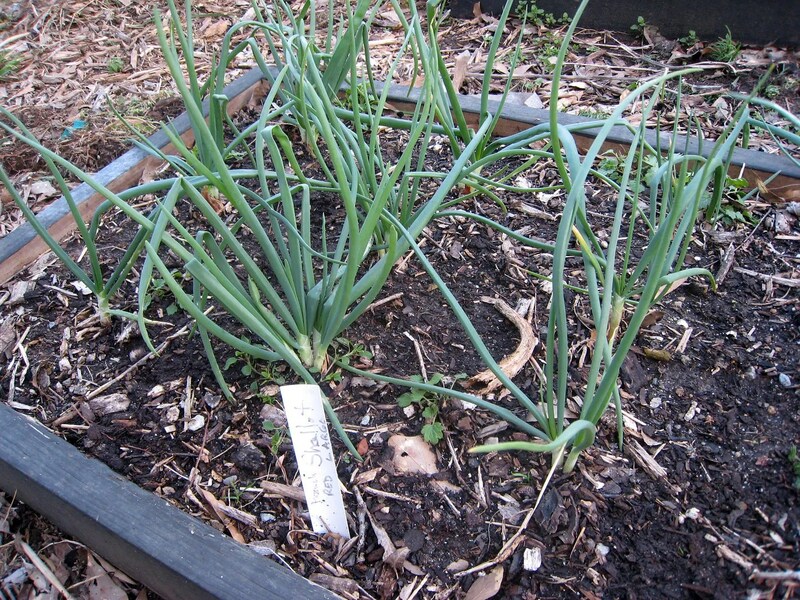 At harvest the following spring/summer, a cluster of several onions of varying sizes is found. The larger ones are eaten with the smaller ones saved for planting in the fall for the next year’s crop. 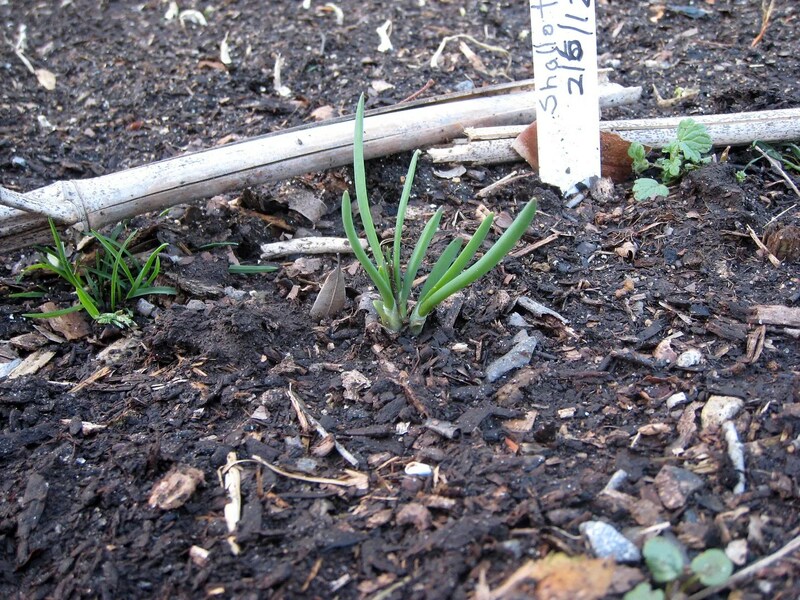 The last allium to be planted this the season (which I count as fall of one year through June of the following year) were the short day onions I put in this weekend. PS: I’m tired after moving boxwoods and cleaning up the back corner this afternoon, so please forgive the inevitable typos I have missed. That looks like a dream. Certainly lots of Alliums there…great for keeping pests away from other crops. Nay! It just happens naturally! Looks great. Great that those potato onions are doing well. 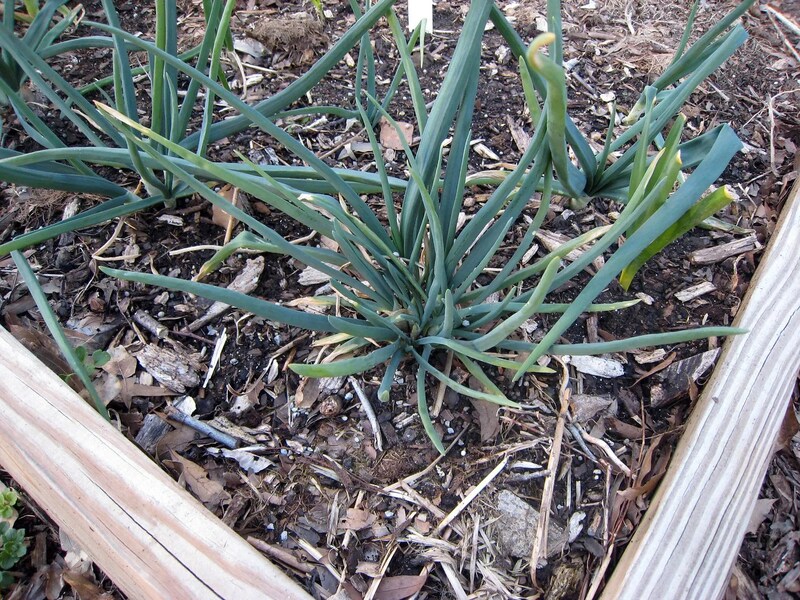 The shallots you traded me are in the ground, but I haven’t seen much come up above ground yet. But I’m hoping they do produce. Thanks. And thank you for the potato onions trade; the yellow ones are harder to find and the sellers are generally quite proud of them. I’ll eat one this summer to test for flavor and replant the rest to get a jump on my stock. 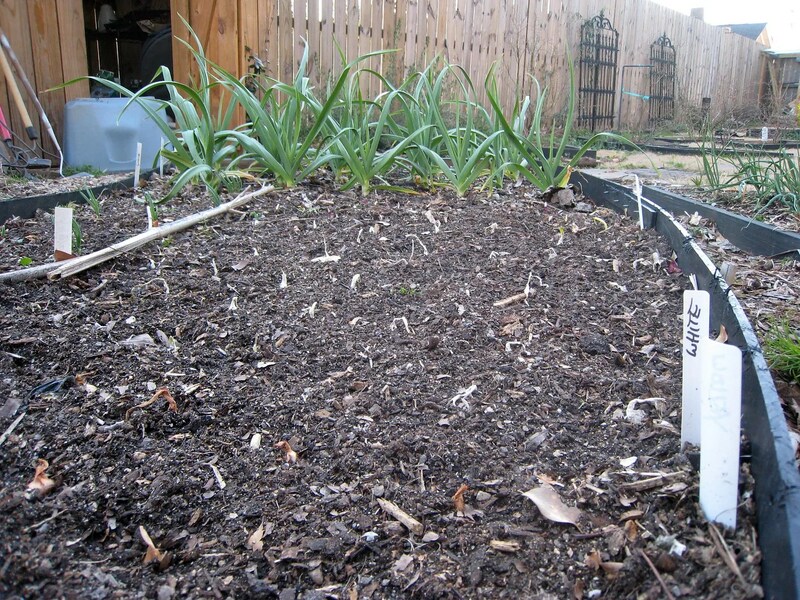 It takes a while for shallots to wake up once in the ground. The little ones above were planted just under 3 weeks before the picture was taken but didn’t show life until about 10 days (and it has been warm here).